Assassin's Creed II: Lineage, the short film series inspired by the game, will kick off this holiday, Ubisoft said today. 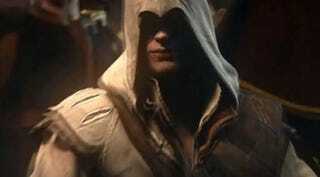 The three short movies willl focus on the story of Ezio's father, Giovanni Auditore da Firenze, and will be a prelude to the Assassin's Creed II storyline, offering insight into the Assassin's Creed II storyline and characters. Ubisoft was unclear about how this storyline will fit in with the Playstation Portable's Assassin's Creed: Bloodlines, which was said to be the only thing connecting the first console game to the second. The short films will be discussed later this week during a Comic Con panel. "Ubisoft has detailed its vision for convergence over the past two years. Now at Comic-Con we are exclusively revealing one of the first building blocks to this strategy with Assassin's Creed: Lineage," said Yannis Mallat. "We'll be discussing the links between the game and the short film series with some of the key players of the project. We are thrilled to be able to share the results of our efforts with the Comic-Con audience."